The island of Anglesey provides sea kayakers of all abilities with a superb coastline to explore and play along. Only very rarely is there no sheltered water around this island. It is essentially an all weather (almost) destination for sea kayaking. Anglesey is home to some very famous sea kayaking locations, including: Penrhyn Mawr and the Stacks, Rhoscolyn, The Skerries and the Menai Straits and Puffin Island. Outside of these areas there are some equally stunning and less frequented coastal stretches, for example along the: North, South West. and Eastern coastlines. The Llŷn Peninsula is a wonderful area to explore by kayak. There is an island feel about the place due to the Llŷn’s relative isolation. The sea is therefore an important part of the the Llŷn’s history and culture. It provided the area with its major transportation links for the agricultural, fishing, mining, shipbuilding and pilgrim industries. Today the Llŷn Peninsula land and sea is particularly significant as an area of high biodiversity. 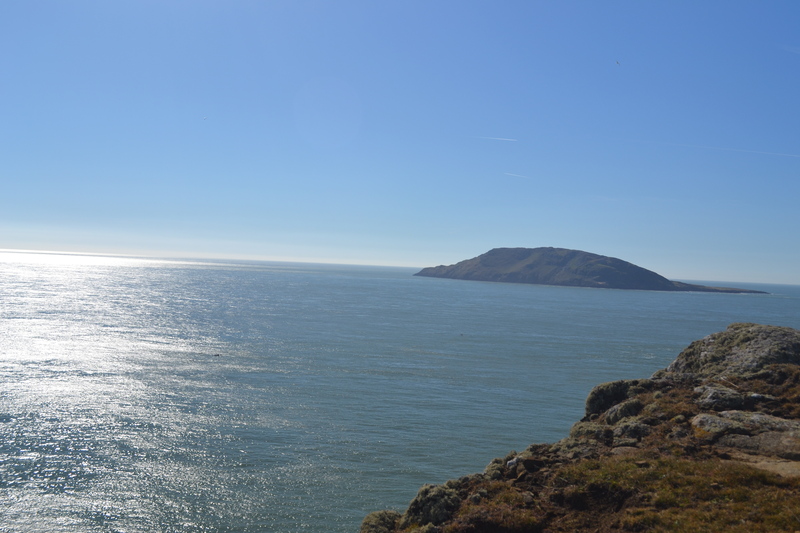 It is protected by the designations of Ynys Enlli (Bardsey Island) SSSI (Site of Special Scientific Interest), Aberdaron Coast and Bardsey Island SPA (Special Protection Area), and Seacliffs of Llŷn SAC (Special Area of Conservation). Attempts have been made to establish a marine reserve in Bardsey Sound due to its prolific biodiversity. The Llŷn Peninsula’s geology is also impressive. It shares much of the same geological features as Anglesey, which is a UNESCO assisted Geopark, in addition to the numerous granite intrusions and outcrops of rhyolite, which are responsible for the prominent Yr Eifl hills. Quarrying and mining were once important industries for the export of granite, copper, zinc, lead. During the Second World War most of Britain’s manganese, important in steel making, was sourced from the Llŷn Peninsula. SKW guided trips along the Llŷn Peninsula’s coast will seek to explore much of the human, geological and natural features of the coast. These trips may include crossings to Bardsey Island, if it is suitable for clients and weather permitting.